Report: Glenn Beck And Mark Levin Strike a Deal to Merge TheBlaze And CRTV; UPDATE: Conflicting Accounts? Beck tweeted the original "exclusive" story though without angry corrections. Details appear to be murky. The Daily Wire's Ben Shapiro congratulated the duo on their merger. 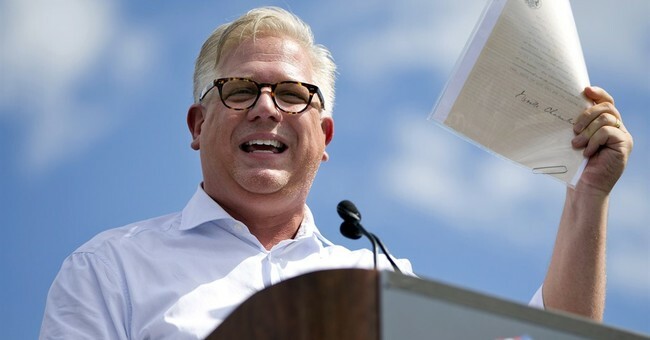 Conservative powerhouses Glenn Beck and Mark Levin are coming together to merge their conservative media companies, TheBlaze and CRTV to create Blaze Media, the Hollywood Reporter reported. Together, the two brands are believed to reach 165 million people by TV, various digital platforms and social media. Although the transaction won't be official until Monday, Beck opened up about the merger to the Hollywood Reporter on Sunday, saying the duo hope to create an independent, powerhouse media company. “This is the beginning of scale,” Beck said. “Anyone who loves the Bill of Rights and pursues honesty, I want them all in. We’re an open book. Let’s talk." “Tens of millions of Americans have had it with the biased, ideologically driven mainstream media outlets that sanctimoniously advance their own agendas under the guise of ‘news’ and ‘journalism.’ Conservatives actually believe in a free press and the rest of the Constitution,” Levin said. Over the last few years, TheBlaze has gone through numerous staff cuts and has been in the red. They've also lost major surrogates, like Dana Loesch and Tomi Lahren. The media company had previously been in talks with Ben Shapiro over merging with The Daily Wire, although that fell through. Beck said over the last 12 months, TheBlaze has been profitable although it was in the red in the past. According to Beck, the on-air talent will have the ability to express their opinions, whether or not he agrees with what they say. CRTV talent, like Michelle Malkin, Steven Crowder, Matt Kibbe, Deneen Borelli and Phil Robertson are expected to continue with the new media outlet. The company is expected to compete with conservative news outlets Breitbart, The Daily Caller, The Daily Wire and Salem Media Group, Townhall's parent company.